December 21, 2015 By Rob Pincus & filed under All Articles, News and Events. Personal Defense Network has been around long enough that we have a couple of traditions. 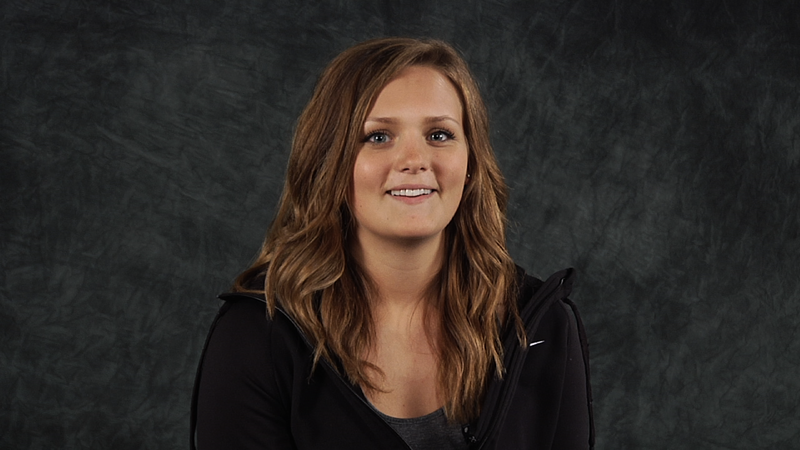 One is our annual “Best of” collection of videos and articles. The presentation of the Best of the year has changed over the past five years, but has a consistent process. First, as a PDN member, you get the first vote. Every December, the team at PDN HQ compiles a list of the top videos and articles for me to review. This is the popularity contest … and it tells us a lot about what you are interested in, which helps us plan what to bring you next year. I chose not to include gear review videos in the lists. We know that the nature of the internet is that gear will always get more attention than training information, which is PDN’s primary focus. You can see the three most popular gear-related videos here: GunVault, UltiClip and Liberty Ammunition. Below, you will find links to the Top 8 Training Articles and Videos published in 2015. As you probably know, PDN doesn’t exist just to entertain. Popularity isn’t the driving force of content production. 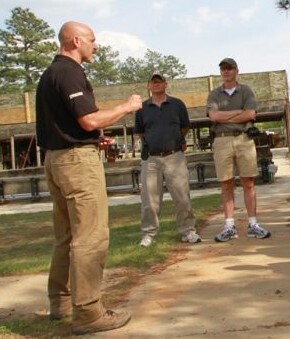 Our education mission is what underlies the catchphrase “We don’t tell you what you want to hear, we tell you what you need to hear.” The most important job I have as Executive Director is to work with our team of contributors to come up with educational content that may only be valuable to a small group of people in the firearms community (and outside of it) who are truly interested in preparing to meet their responsibilities for personal defense and protecting those whom they care about. The second step is to let you know which of the popular articles and videos I thought were the most important and why. This year, I have picked three articles and three videos from your favorites. 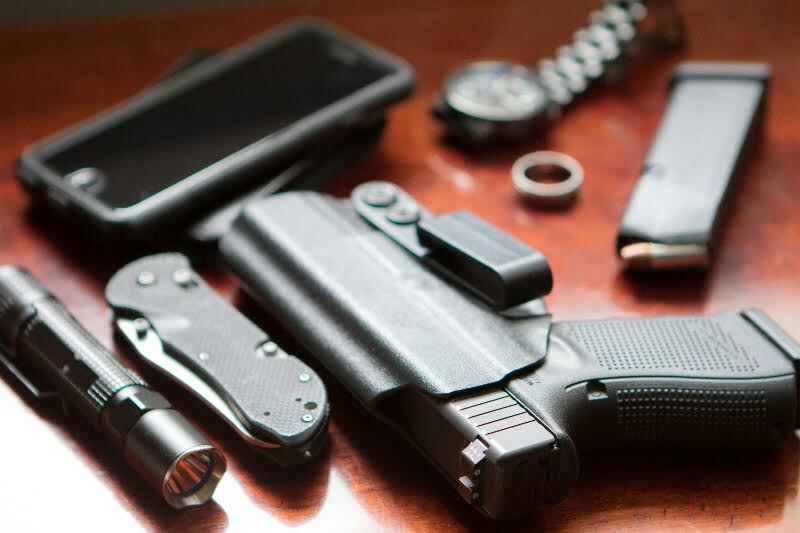 There are tens of millions of gun owners in the United States and tens of millions of others who have an interest in self-defense, knives, survival, and many of the wide variety of topics we cover here at Personal Defense Network. But I believe the hundreds of thousands of you who are registered for our free monthly newsletter or have joined PDN as Premium Members belong to the elite group of people who go beyond being hobbyists when it comes to guns, gear, or martial arts. The entire PDN team is dedicated to serving up the best content we can for people interested in learning as much as possible to keep themselves and their loved ones safe during their everyday lives, right up to the worst possible scenarios you can imagine. I hope you enjoy this look back over the Best of PDN for 2015. In no particular order, here are the three articles that I find most important from the list above. This year they all revolve around a theme that has become really important in the era of spree killings, terrorism, and so-called “gun-free zones”: Self-defense is about more than just guns. When we first started the PDN project, it was known simply as the “Personal Firearms Defense DVD Series.” Within the first year of producing DVDs, we started a “non-firearms” branch with guest instructor Mike Janich covering knife and stick defense. We added more unarmed and non-firearms defense as the years went on and, by the time we launched the PDN website five years later, almost half of our content was not specifically related to guns. Self-defense is about a lot more than just being into, carrying, and training with guns. Plenty of other very important pieces of the self-defense puzzle exist, as well as many other options for those not inclined or able to carry a gun. These three articles reflect those facts yet are still valuable to those of us who can and do have firearms as part of our plan. Daniel proposes that the most important primary defensive tool he carries regularly is a flashlight. Of course, he generally carries a good gun and a good knife as well, but he realizes that those can’t always be with him. In addition to pointing out its potential functions in a worst-case scenario, he also reviews the usefulness of a flashlight in a variety of non-defensive situations. One of the great things about this article hitting the internet was the response from those who read it in the social media sharing and comments. Many people picked up on the underlying point and commented that their mind or their body was their primary tool … and I agree that they certainly should be! We don’t play favorites at PDN … even when it comes to me! If I didn’t think this whole series of articles on comprehensive self-defense wasn’t truly important, I wouldn’t highlight it here. But if you missed this first of four articles on developing a comprehensive approach to self-defense, I want you to go back and read it, and then read the following three articles in the series. Even if you didn’t miss this, it’s probably worth a re-read with an immediate follow-on to the rest of the series. This first article focuses on starting out by learning what kinds of situations you are most likely to have to deal with, and taking an honest look at what your strengths and weaknesses are. Self-defense is a broad topic. Your self-defense plan should be as all-encompassing as possible. You have hopefully heard the drum beating about how important medical information and knowledge about emergency medical procedures (such as tourniquet application) are in regard to being prepared to take care of yourself and others. Over the past few years, medical training has shifted from being a distant afterthought for most people to being just about required if you want anyone to take you seriously when you say you are into defensive training. With potential applications far beyond an act of personal violence, medical knowledge is certainly something you should have. But even those of us who have trained extensively in emergency medical procedures sometimes balk at the idea of carrying trauma medicine equipment with us all the time. Ian does a great job of covering the basics and getting past the idea that being prepared means you have to carry a 20-pound backpack with you all the time. 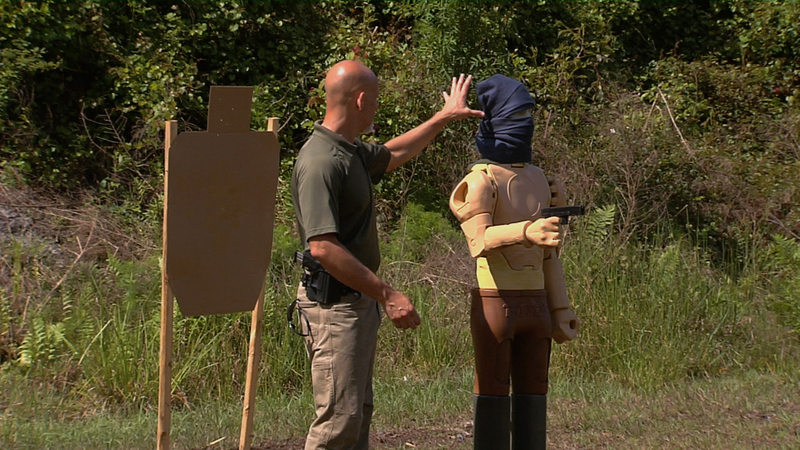 This year’s most popular videos covered a wide variety of topics from the most basic firearms training information to home defense, defensive mindset, and a couple of specialized gear issues. It wasn’t easy to pick three standouts as the ones I believe are most important. The truth is that for you, one of the more niche topics might be the most important. But since I know the majority of our PDN audience is interested in defensive firearms information, here are the three I think every armed PDN member should watch. Pistol sight design is only beat out (slightly) by bullet design when it comes to areas of the industry that frustrate me by presenting ideas that might work under some controlled or ideal situation but simply are not reliable or accommodating enough under probable circumstances to be trusted in regard to defensive firearms. OK, I guess some of the non-holster devices that are supposed to be used to carry a gun, such as the barrel pegs, are pretty frustrating too … but back to sights: Defensive pistol sights need to work quickly under dynamic and stressful circumstances. They can’t rely on good lighting, perfect weather conditions, or some abstract nuance of how our visual system works in a lab but doesn’t really matter in the middle of a low-light survival shooting event that includes the need for sighted fire. 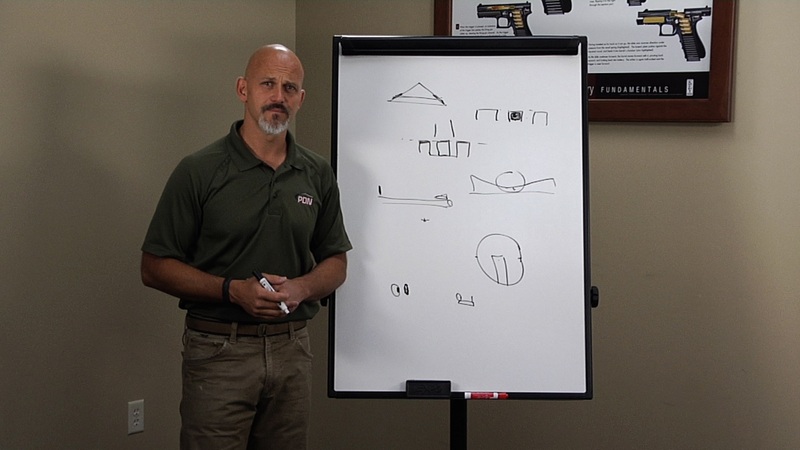 This video reviews several different types of sight design and offers the design I think is best for a defensive handgun. Every few years, there’s a surge of interest in training on 3D targets. The surge usually dies off because even the most ardent advocates of 3D targets being better come to the conclusion that, on a typical range for a typical defensive shooting class, they don’t offer enough value to be worth the time or expense of having them for every drill. But there are a few times when having 3D targets really drives some important learning issues and makes it easier for students to “get” something. Shooting a human being at an angle other than straight on is one of those times. Most threats are going to be facing you (and turn to continue facing you if/when you move), so training on a 2D outline of the torso is fine most of the time. But if you are training to shoot in defense of others, the experience of shooting on a 3D target becomes much more important. This circumstance is especially likely if you are an armed professional or caught in a spree killing (“active shooter”) event. 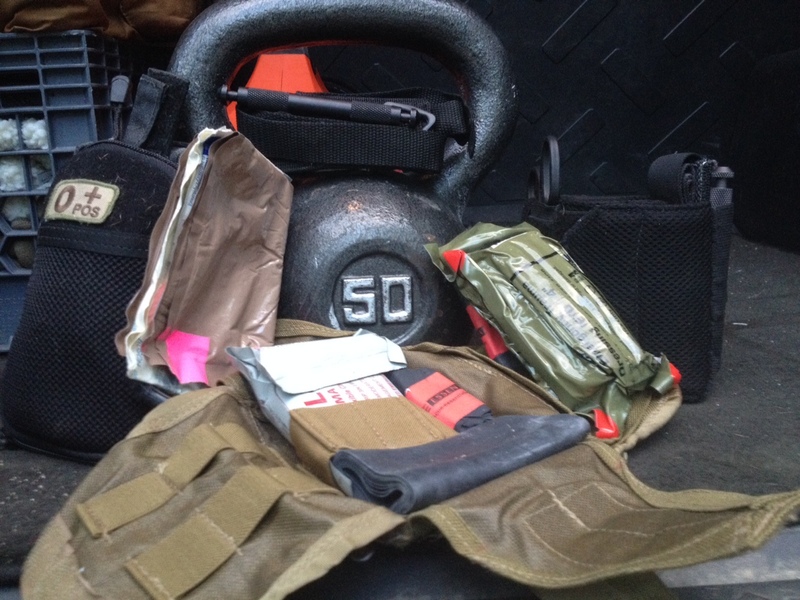 Take a look at how having a 3D target really helps train in this situation. Did you think we were going to get through the video section without me revisiting the message of “It’s about more than just guns” at least one more time? This is a short clip, but everyone who owns a gun and thinks it means they are magically safer should watch it. Having a gun and knowing how to use it are just small parts of self-defense. In fact, there are millions of people who have guns and know how to shoot them who I think are far less prepared to defend themselves than many millions of people around the world who don’t have the option of a personally owned firearm but train for, practice, and think about defending themselves in a very serious way. Thank you for using Personal Defense Network as a resource in 2015. My entire team and I look forward to bringing you even more content in 2016. The launch of PDN LIVE online events and our blog happened in 2015. The LIVE events give you a chance to submit questions to our contributor team on a different topic every month. We’ve covered a lot of very specialized areas recently, so we’re kicking off 2016 with a Self-Defense Free-for-All: Ask a question on any self-defense related topic and I’ll do my best to answer it during our live broadcast on January 14. One of the best things about these events is that they are unscripted. Our team collects the questions, picks the best ones, and presents them to the online experts for immediate extemporaneous responses. Our new blog allows us to be more reactive with commentary. A small group of contributors has access to the blog so we can post thoughts on developing issues such as spree killings. We’ve also been working on another major project that will launch one side or the other of New Year’s Day! Keep an eye on Personal Defense Network through the holidays and beyond as we continue to produce the highest quality training information available anywhere! I don’t have a comment.